We finished painting and installing new flooring at a neighbours house yesterday. 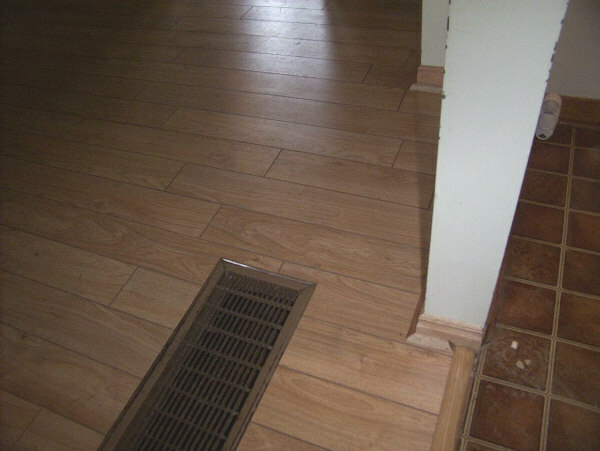 The flooring was tricky in spots with a lot of undercutting of the baseboard and sometimes removing it all together. All her door casings had plinth blocks. A client called and needed laminate flooring installed, move a wall, a bit of plaster and paint done, along with re-installing a drop ceiling. Took a couple of days. The hallway to the bathroom needed to be fixed, along with the bathrooms themselves. It took a few days to get it all done. This laminate flooring product is brand named “Dreamfloor” and is 12mil in thickness. Really easy to install and was supplied by y Central Home Improvement Warehouse in Antigonish.